Heat the oil in a pan on a medium flame and add the cumin seeds. Heat until they crackle. Add the ginger, garlic and green chilli (if using) and cook for 1 minute. 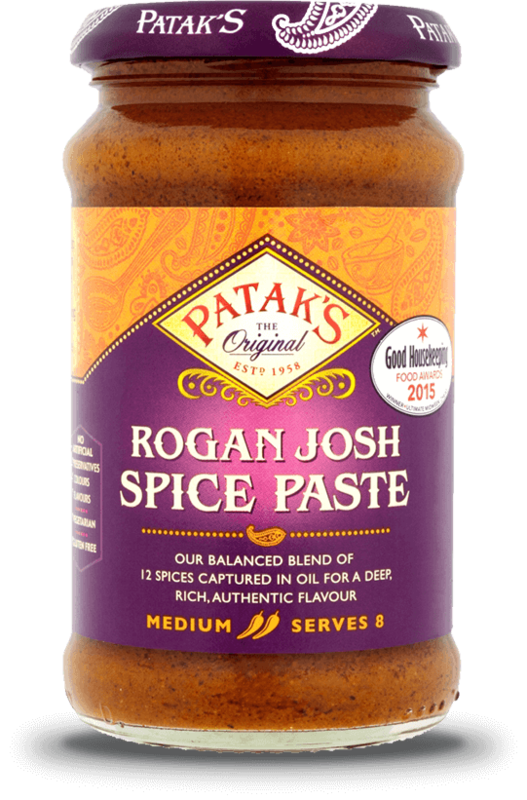 Add the Patak's Rogan Josh Spice Paste and stir well. Sprinkle in a little water. Add the potatoes and some water, mix well and leave to simmer until the potatoes are almost cooked through. Add the peppers and cook for a few more minutes. Adjust the seasoning if necessary, add the lemon juice and garnish with the coriander leaves. Serve alongside your favourite rice dish, such as Cumin and Pea Pulav.